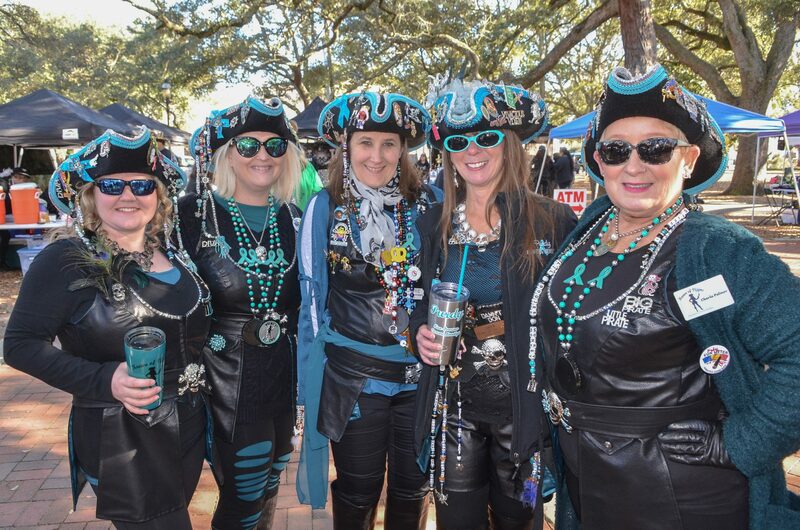 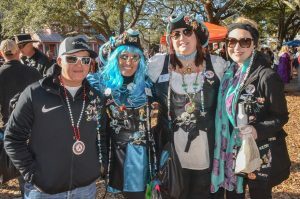 Presented each year by the Krewe of Blues, the Pin & Bead Festival has become one of the most eagerly anticipated dates on the annual Mardi Gras calendar. 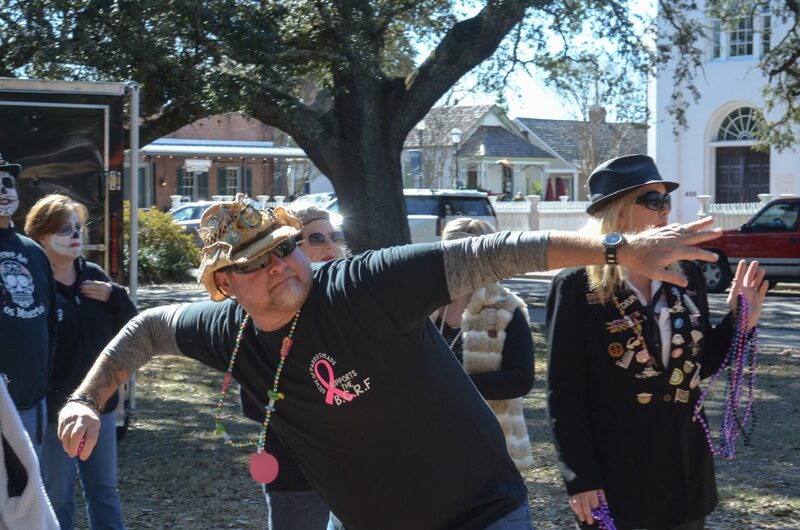 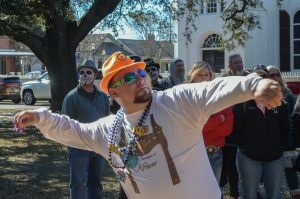 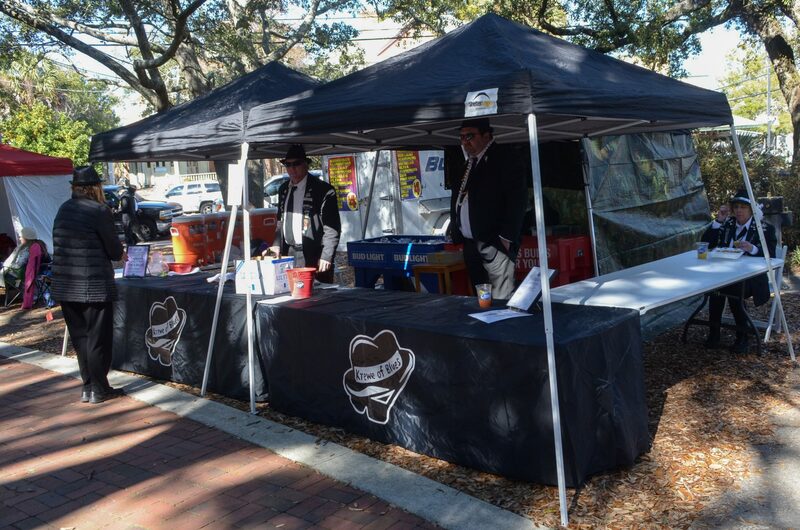 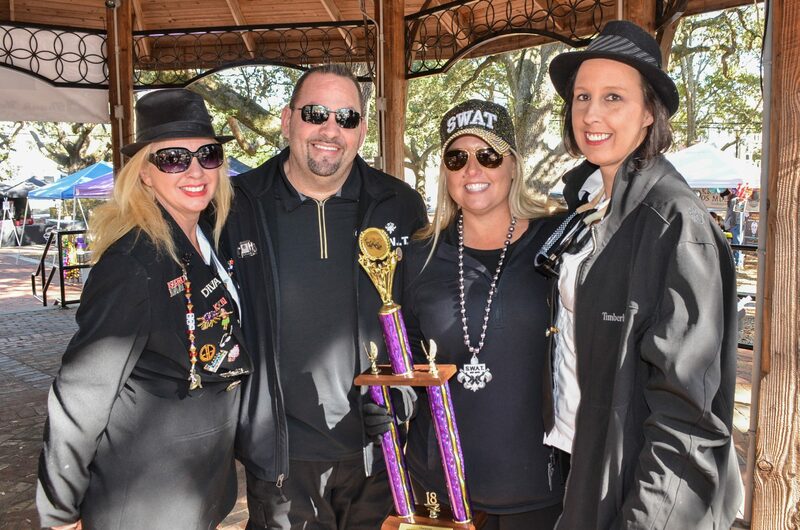 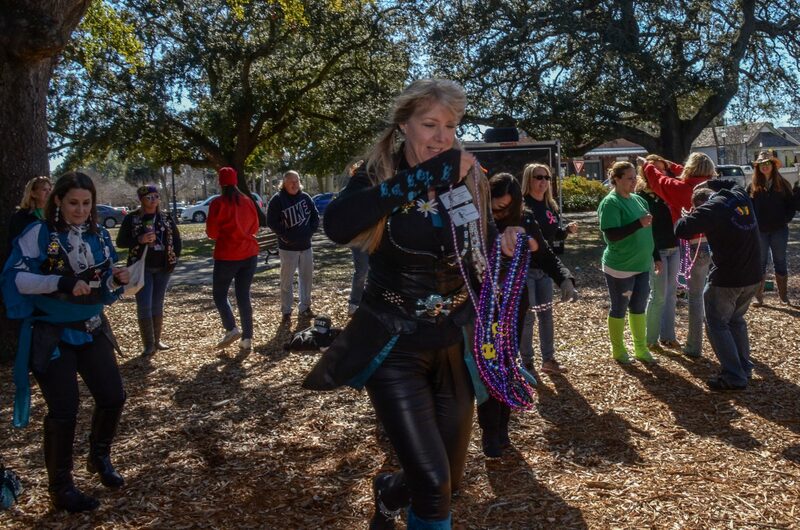 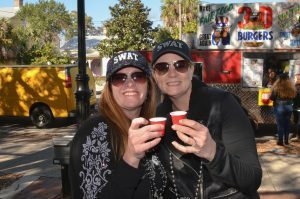 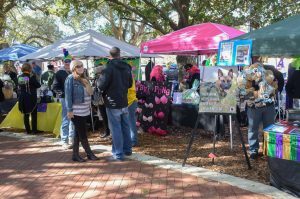 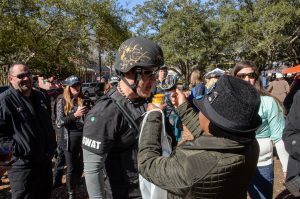 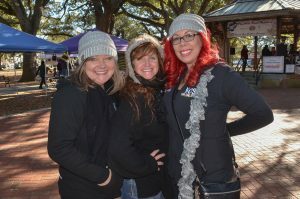 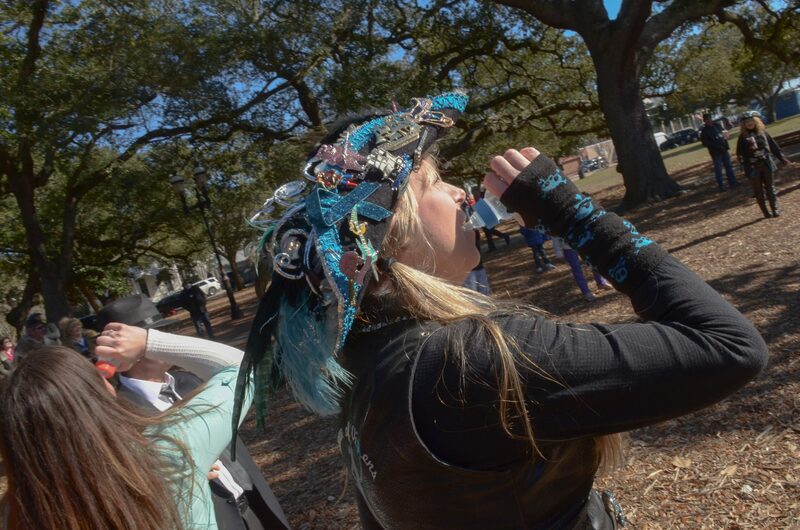 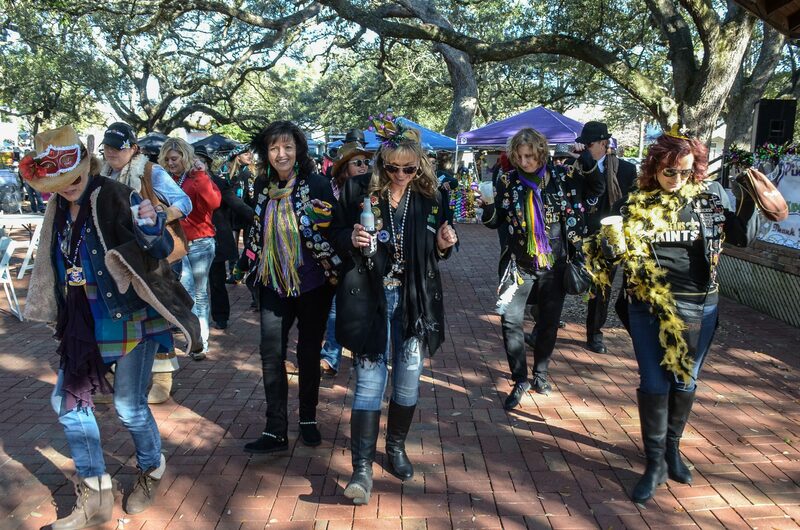 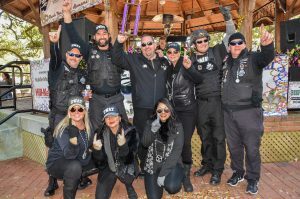 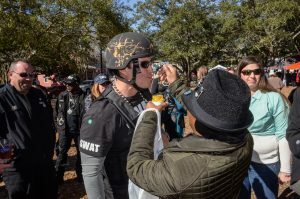 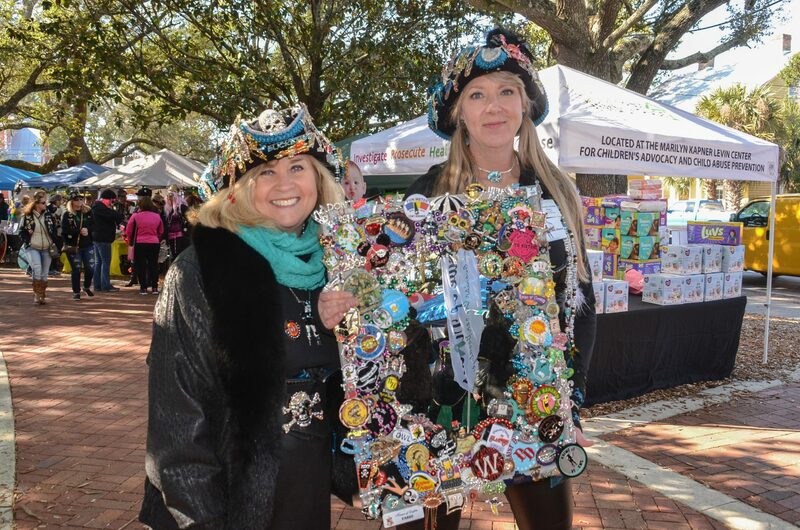 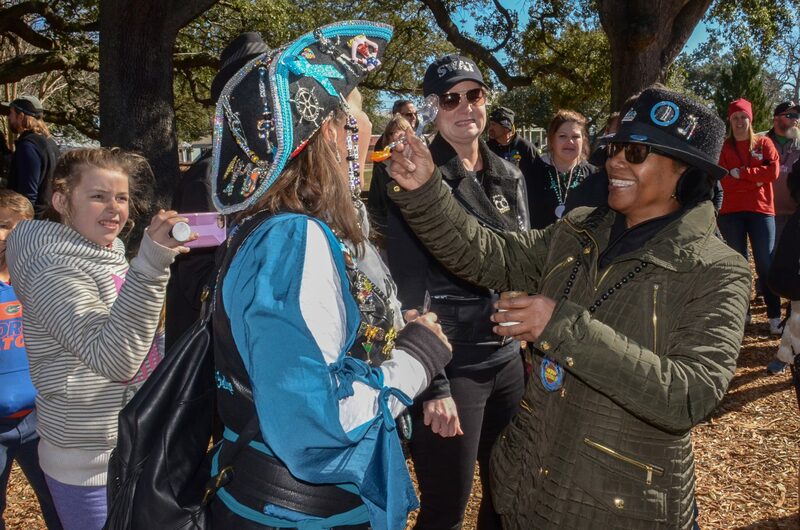 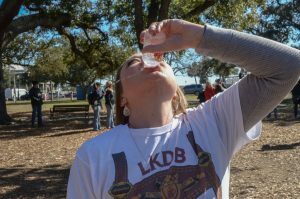 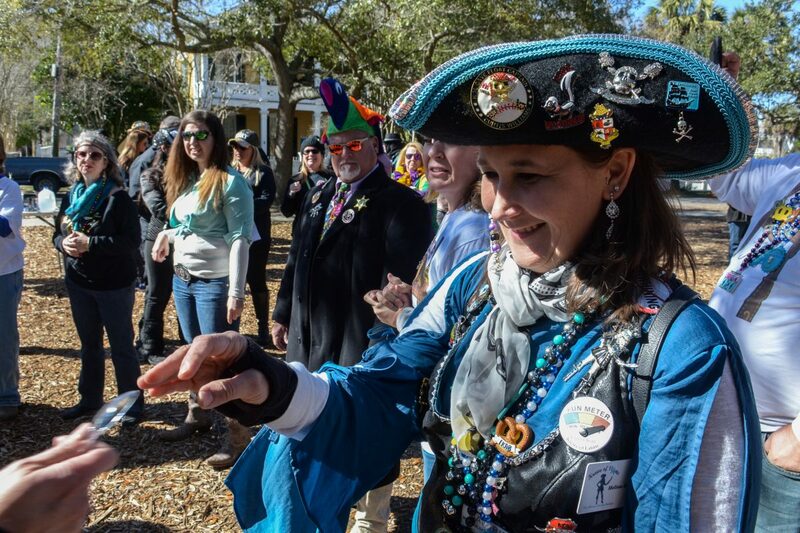 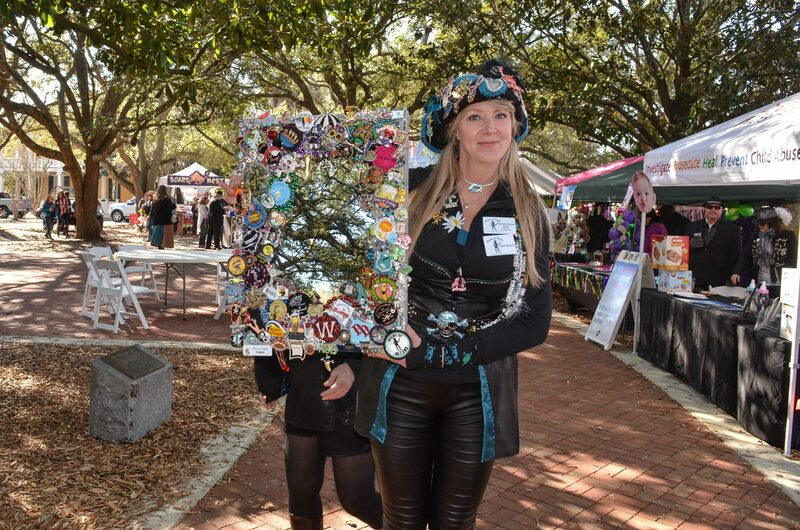 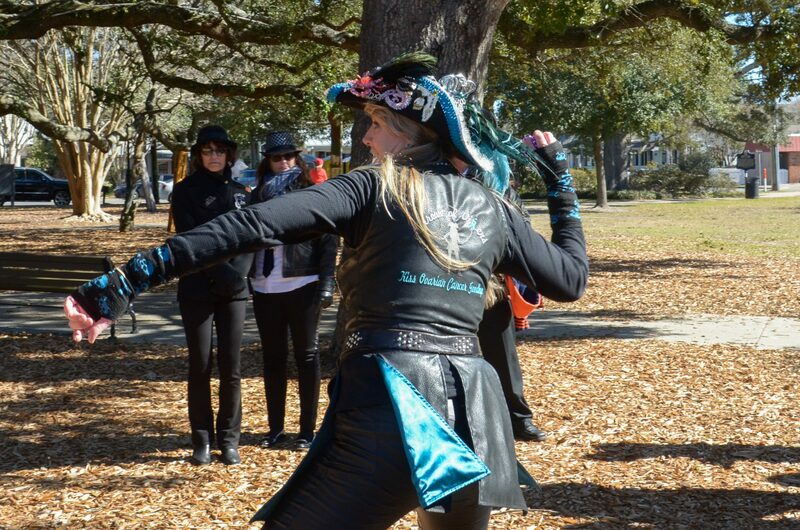 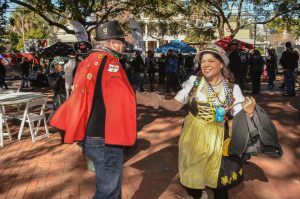 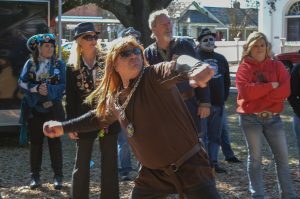 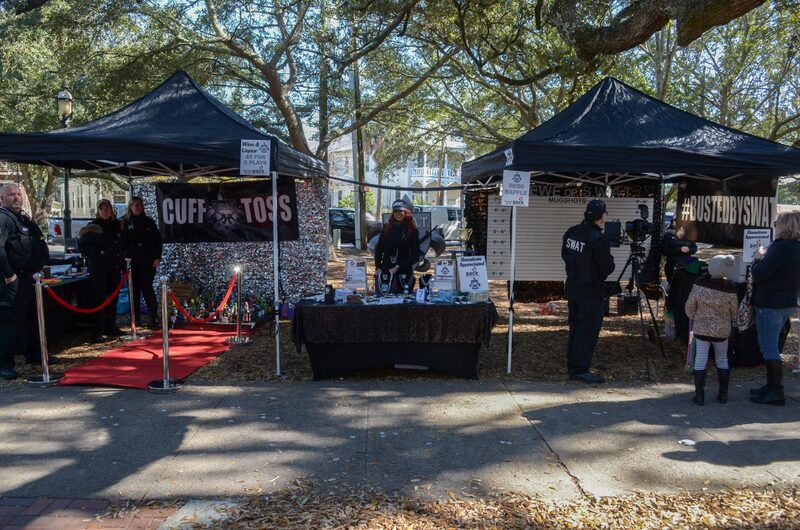 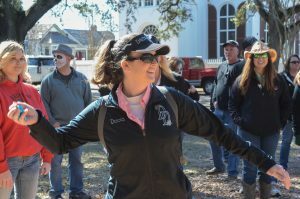 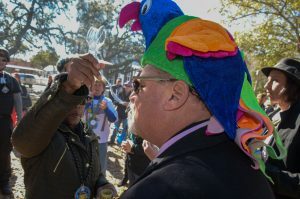 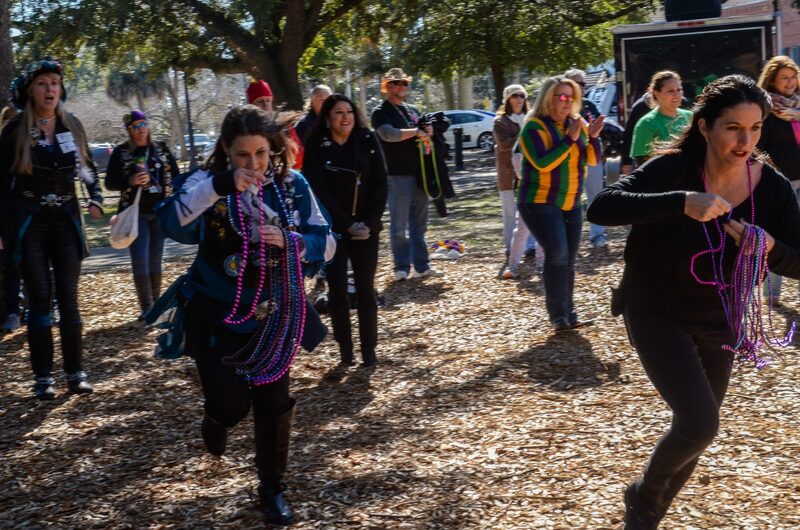 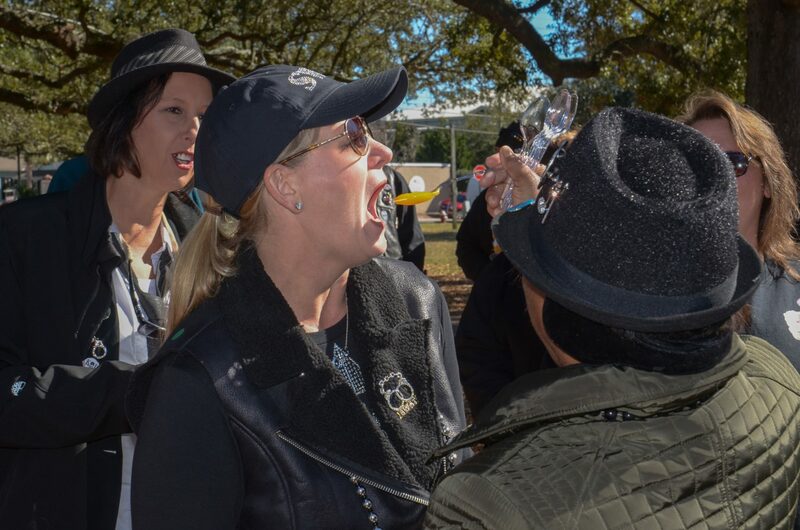 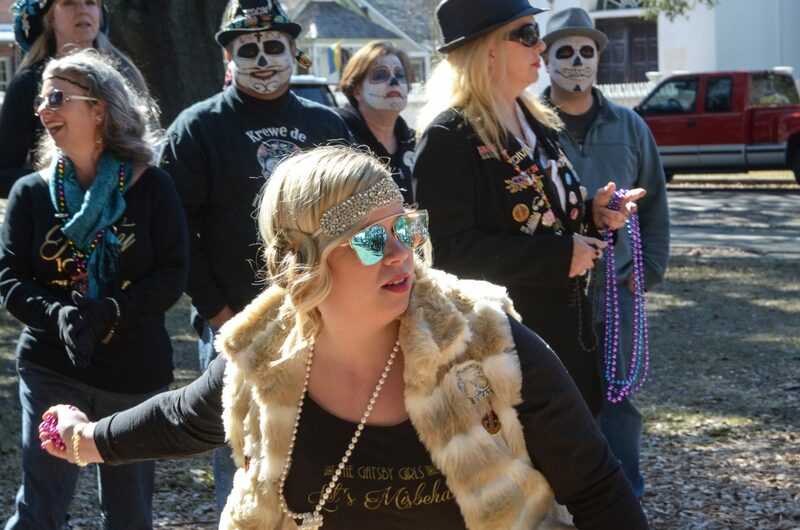 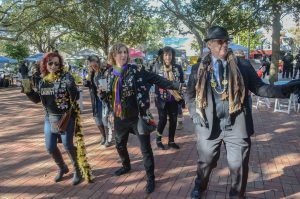 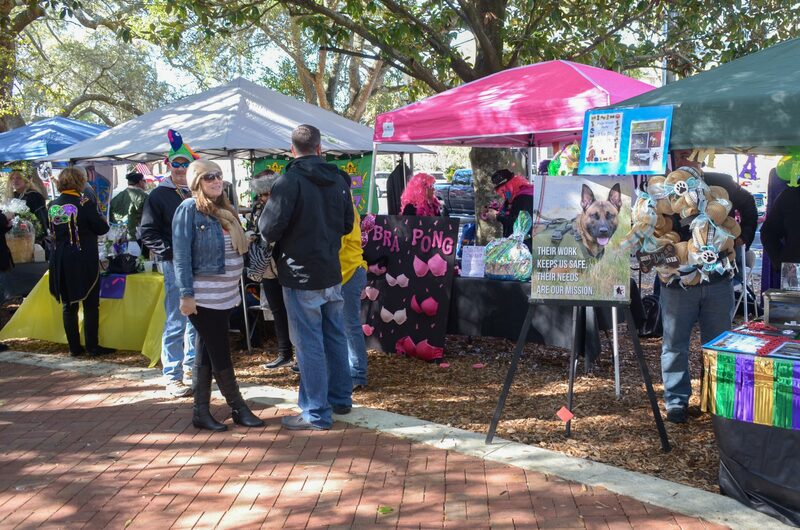 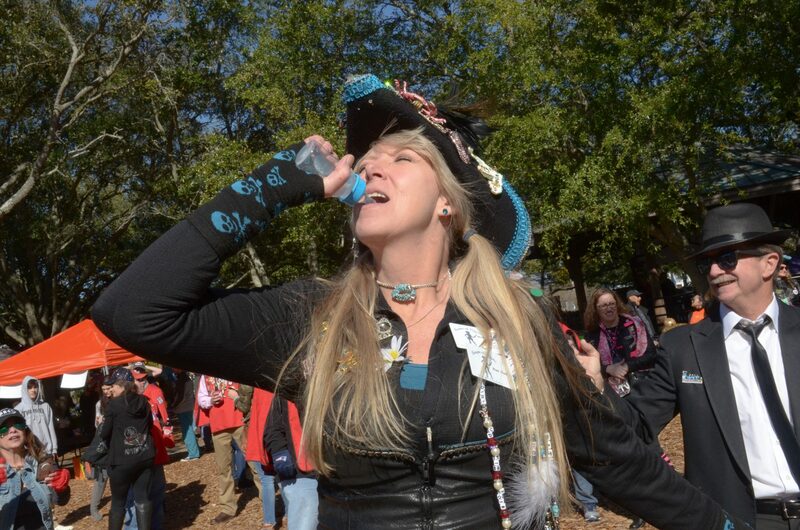 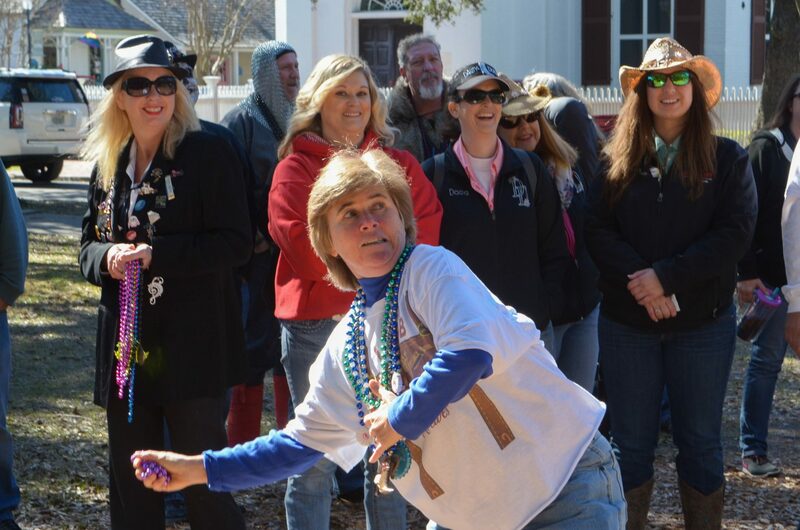 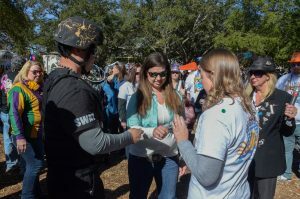 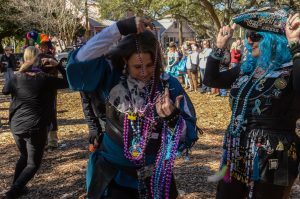 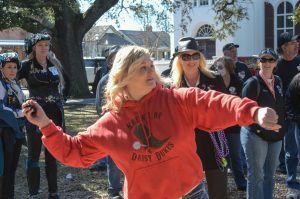 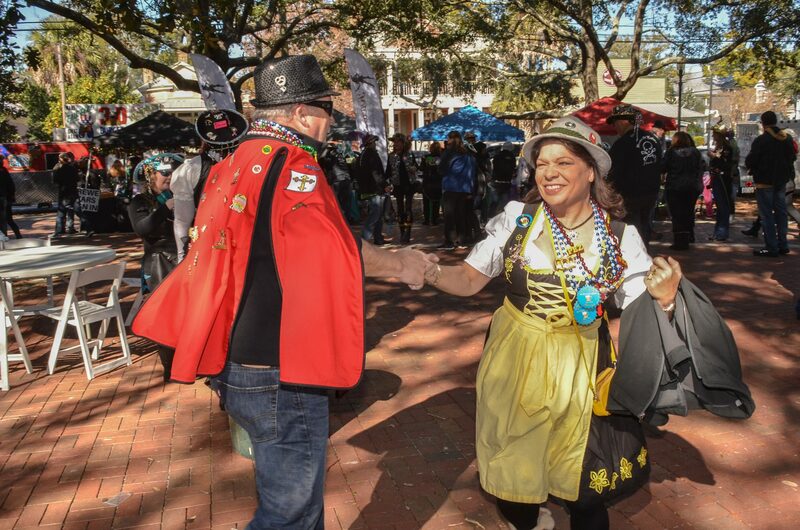 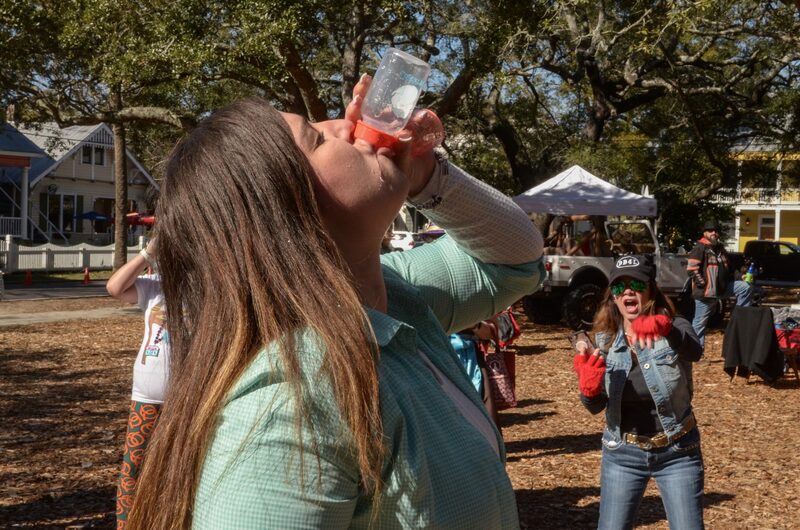 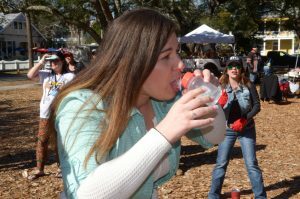 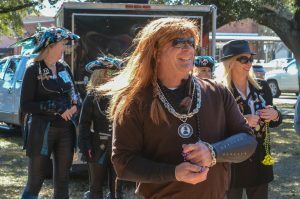 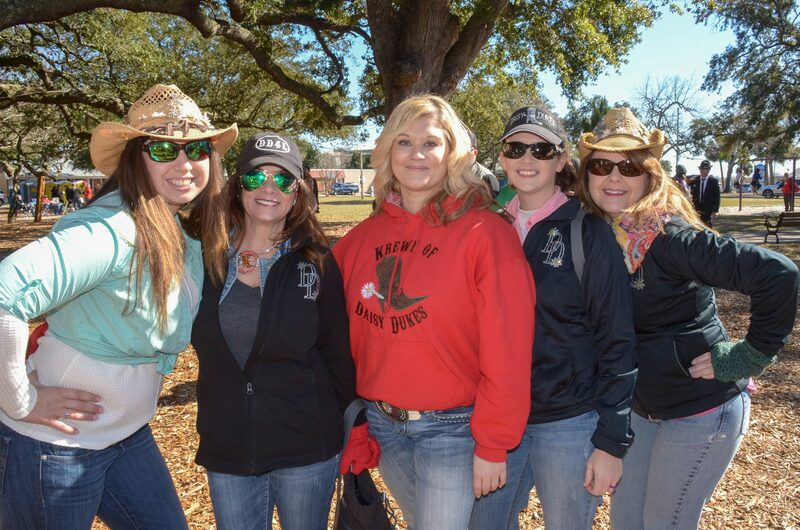 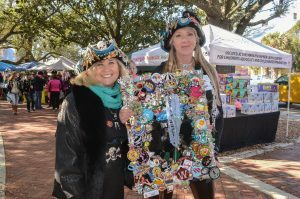 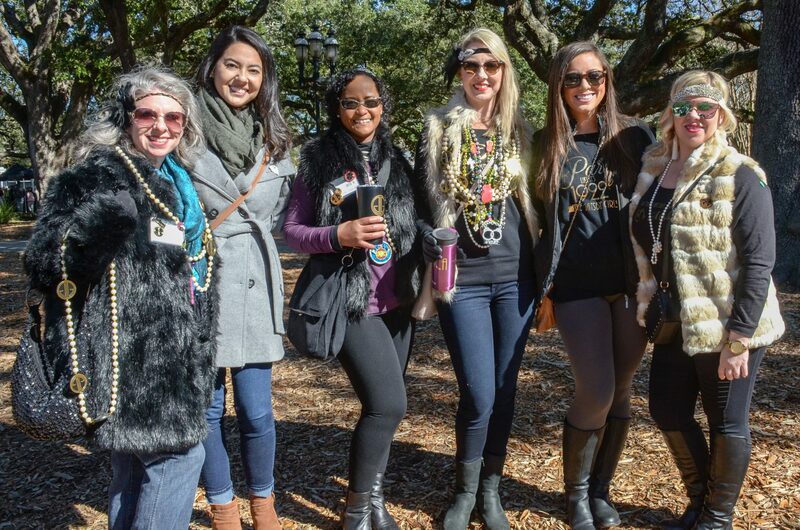 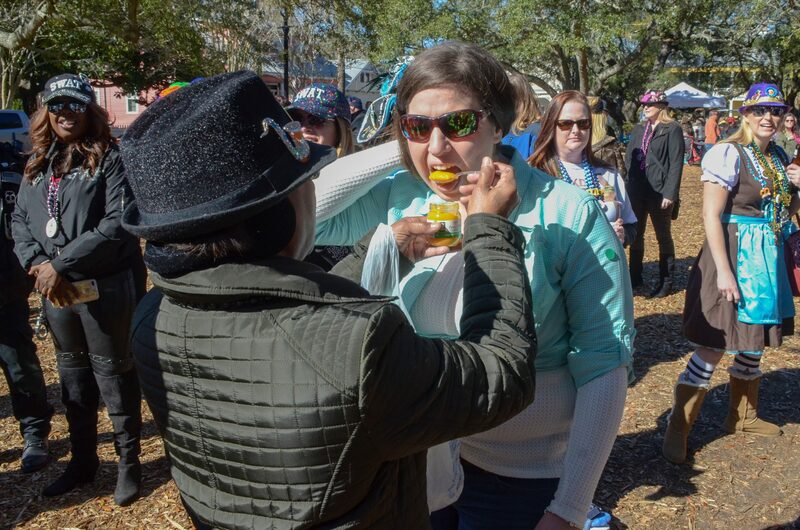 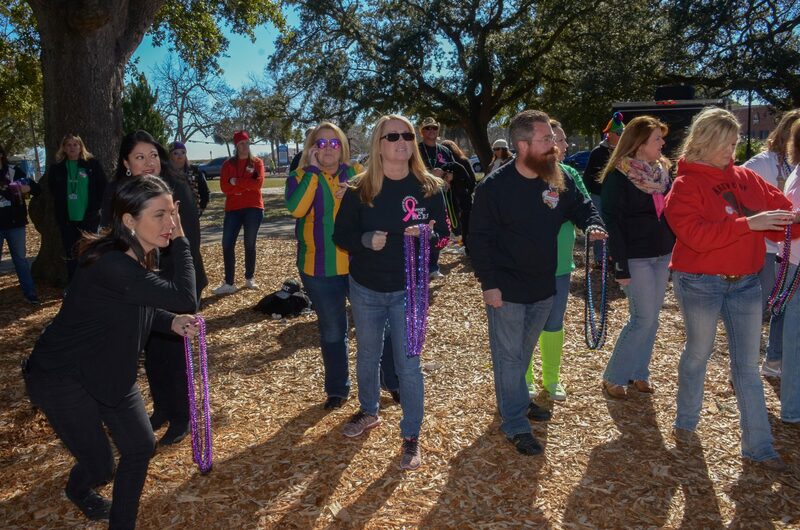 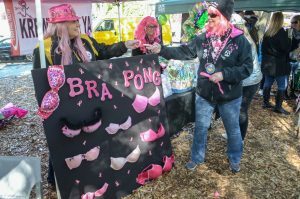 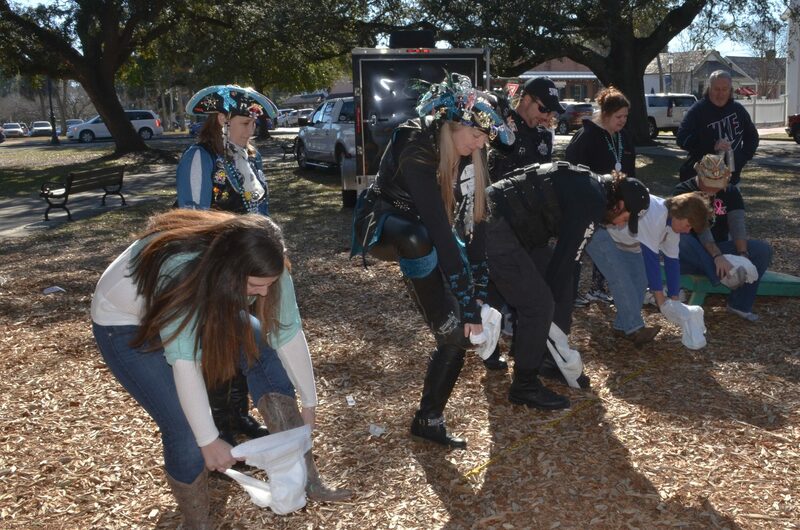 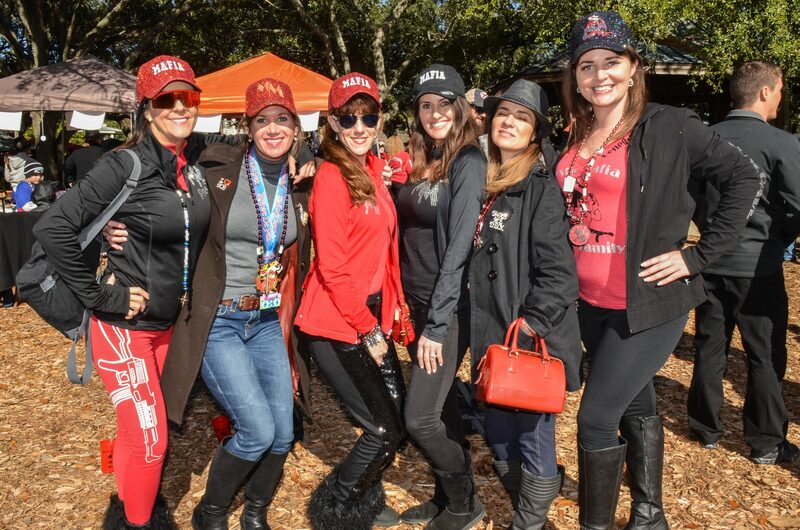 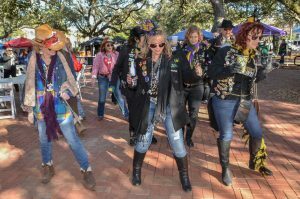 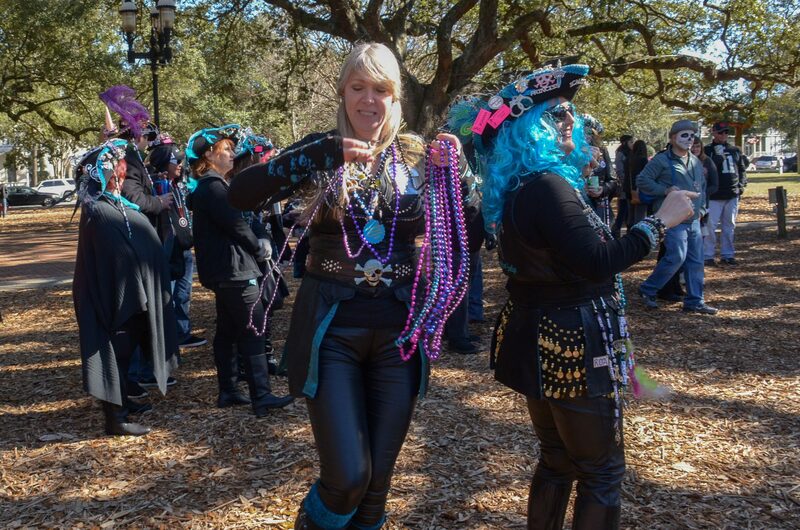 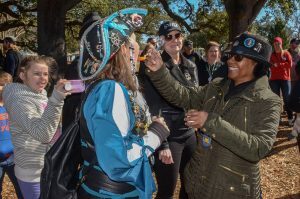 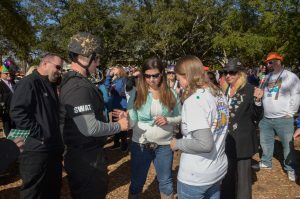 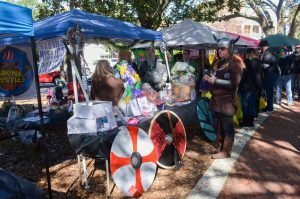 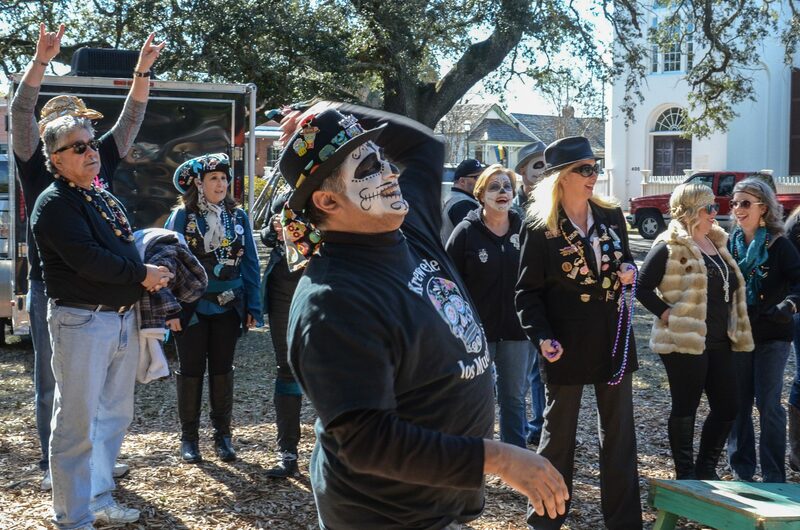 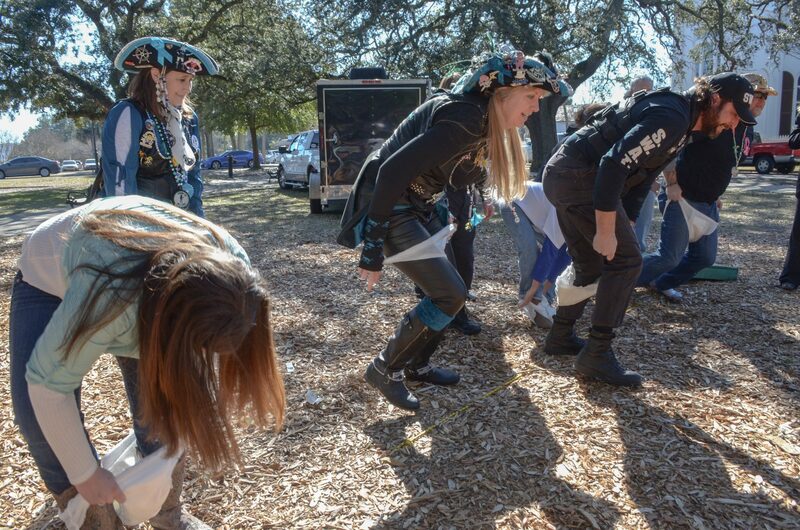 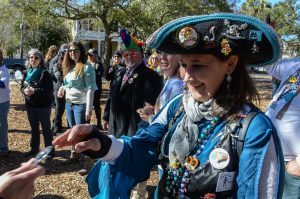 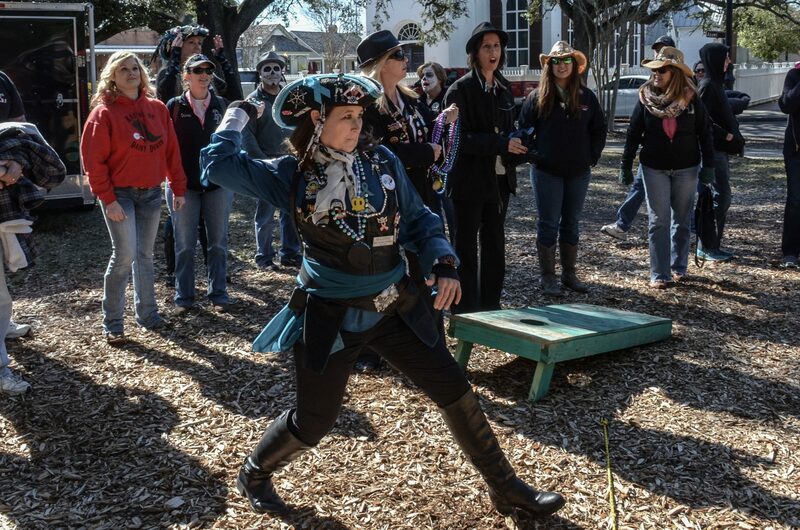 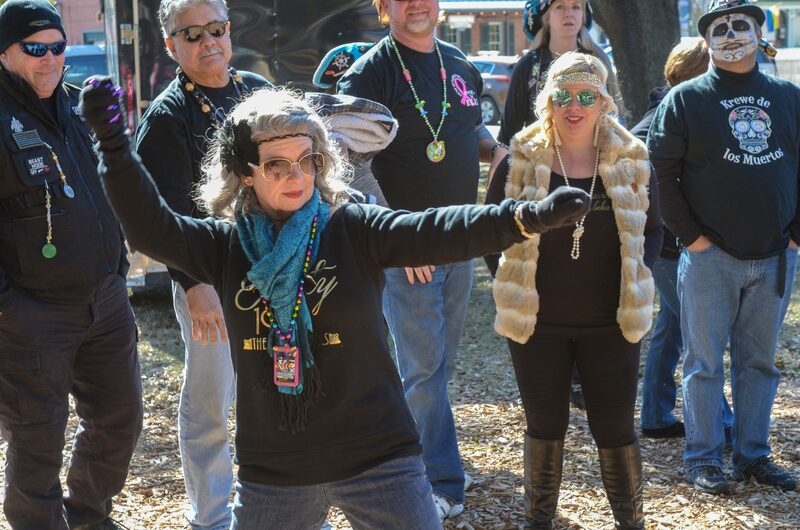 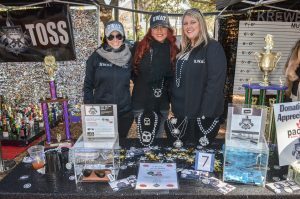 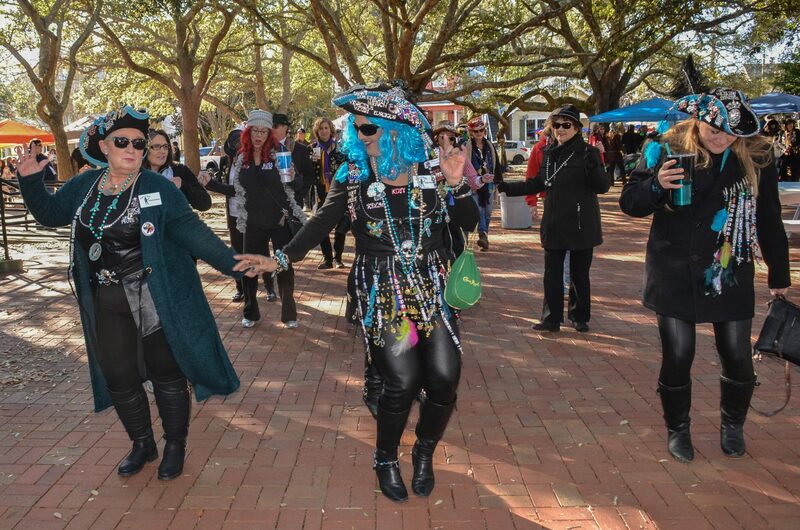 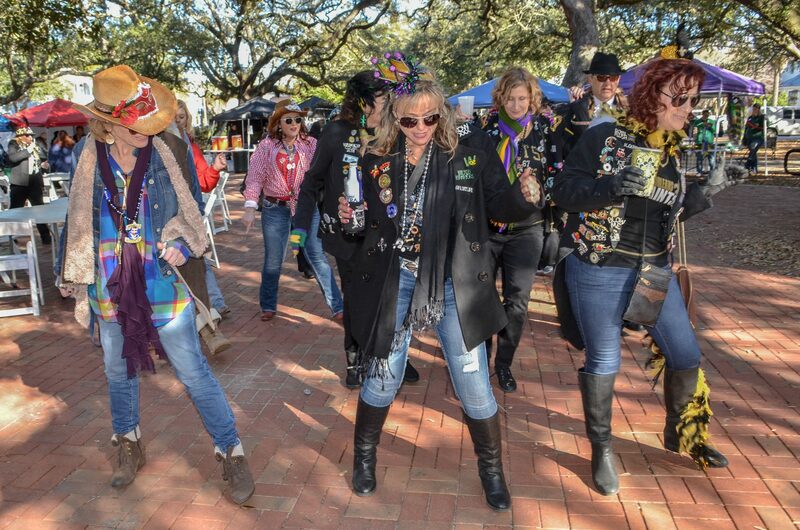 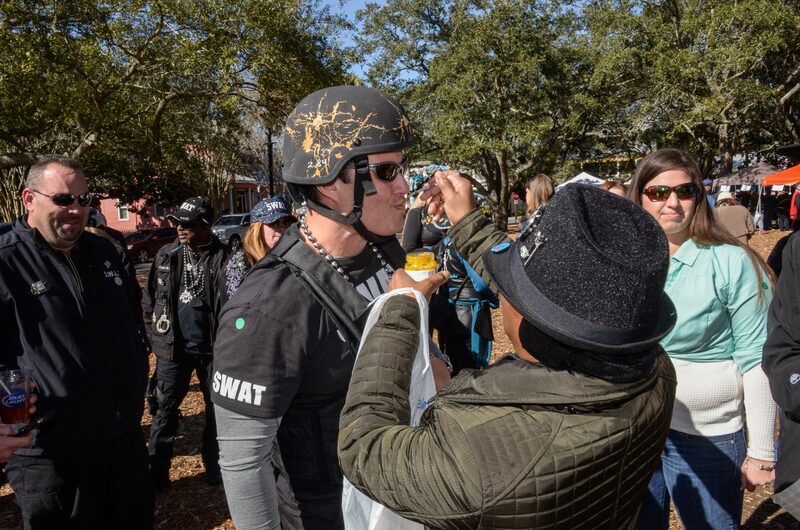 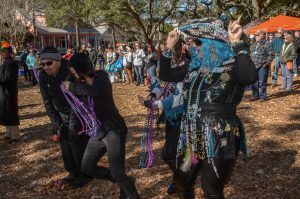 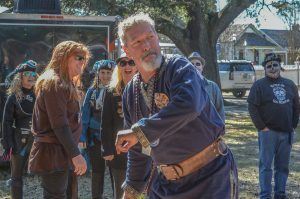 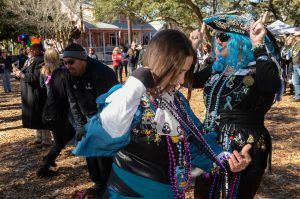 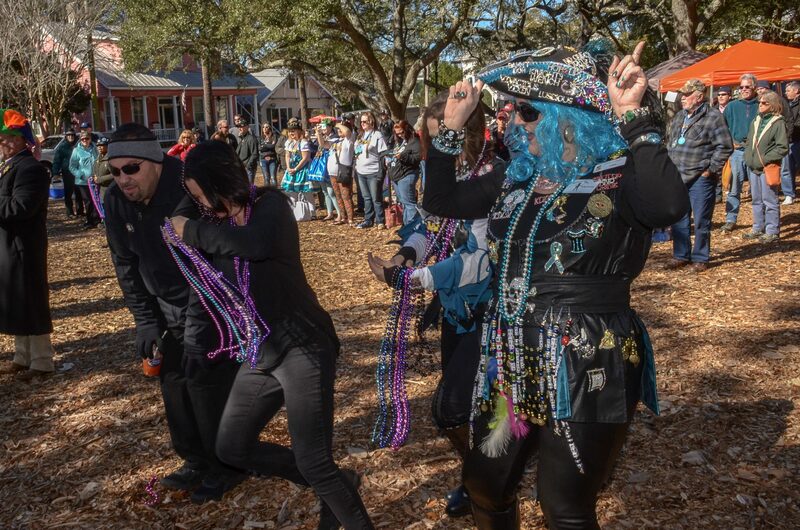 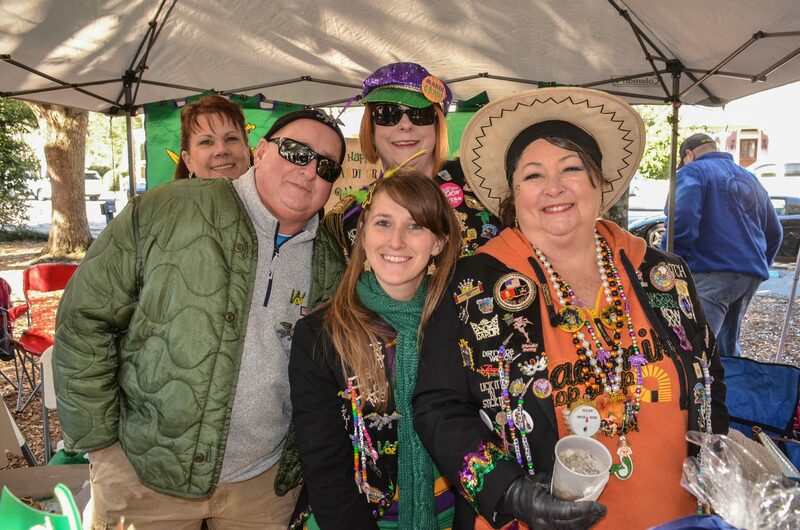 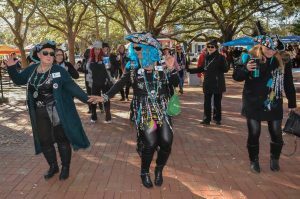 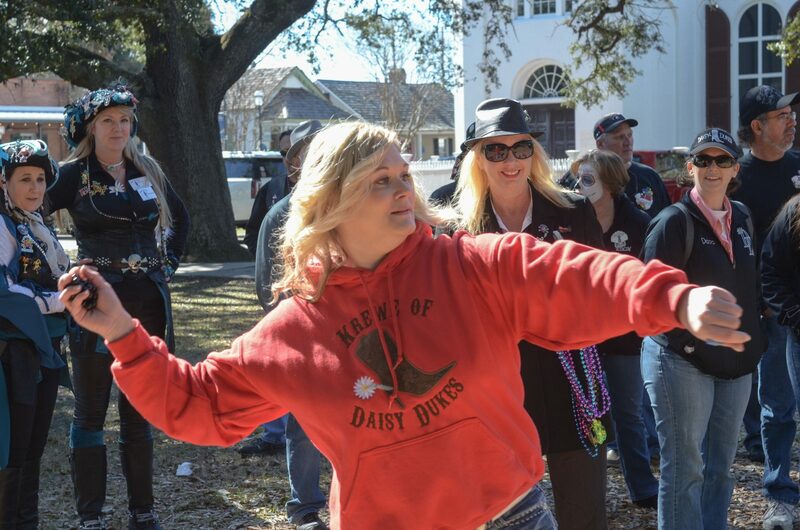 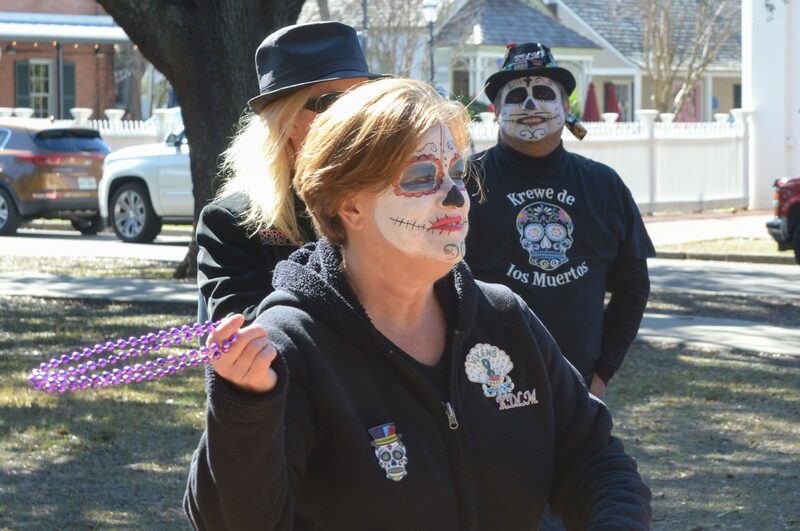 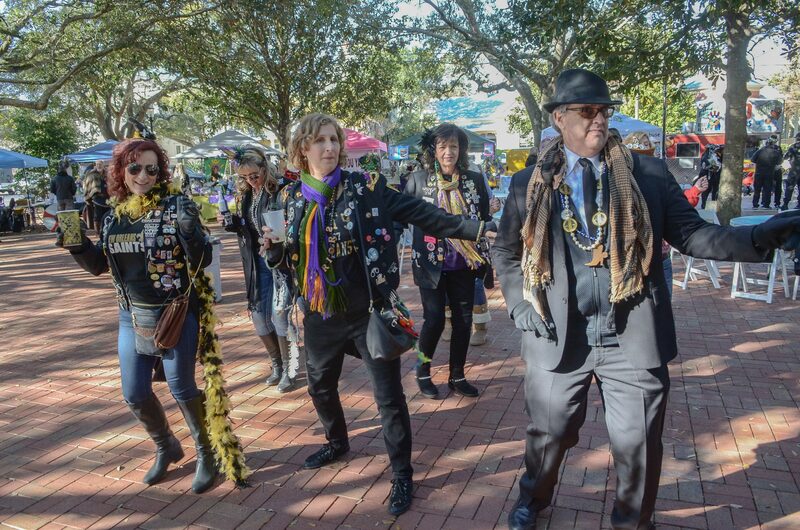 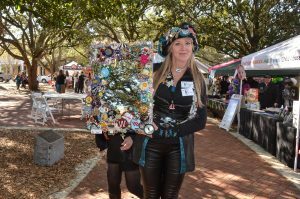 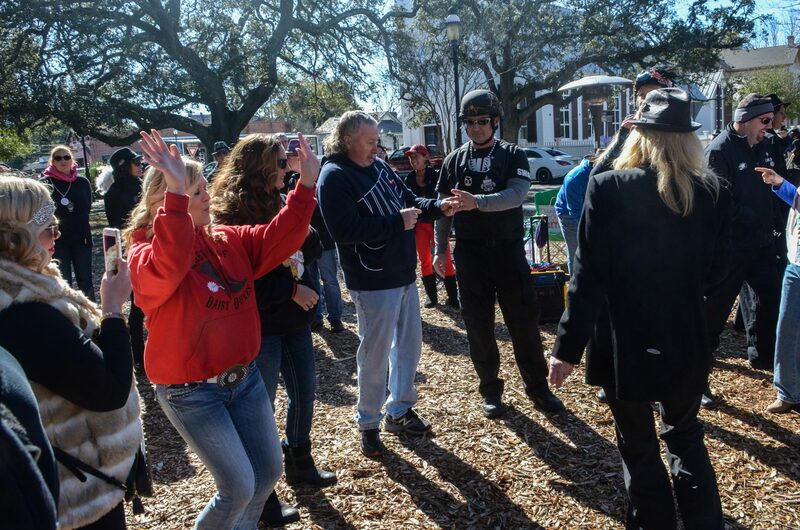 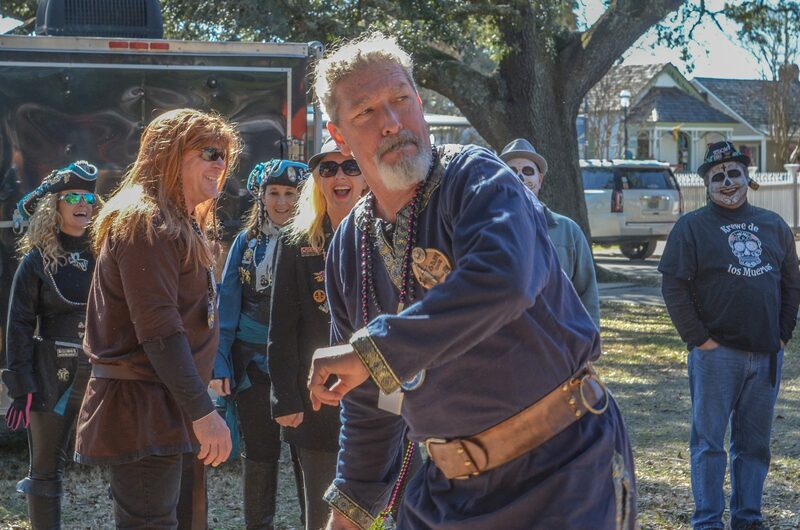 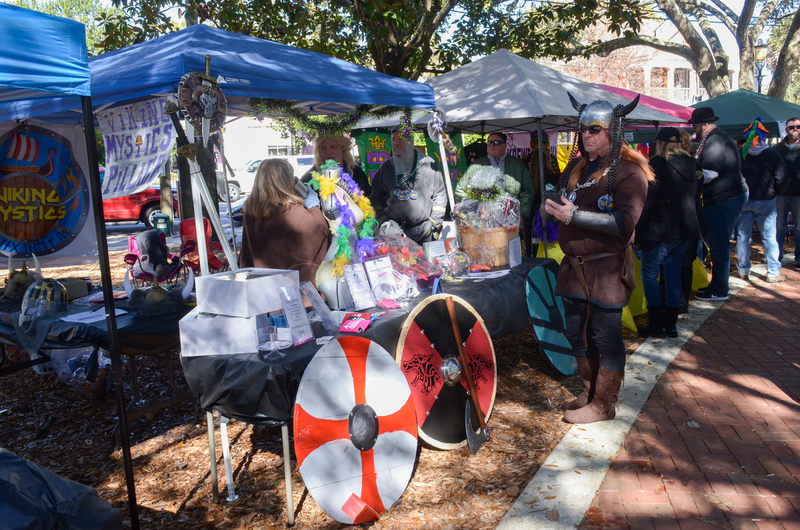 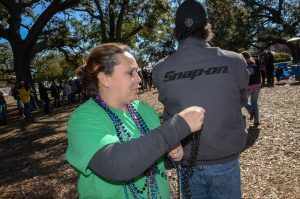 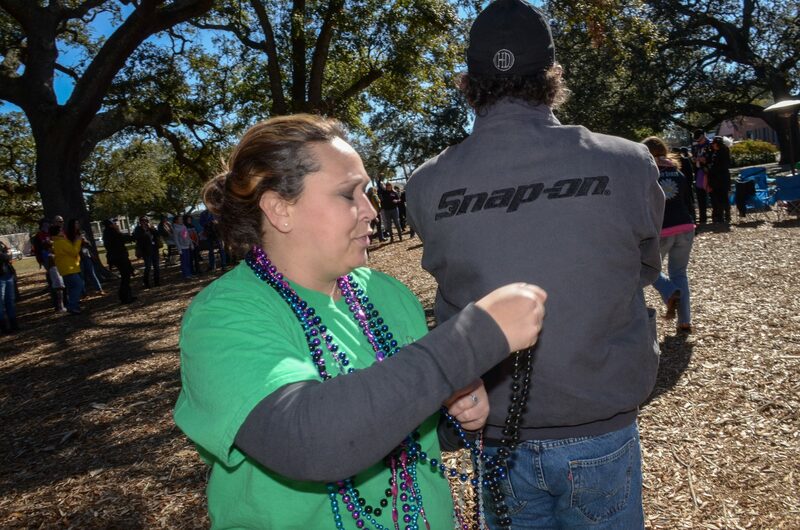 It’s an opportunity for krewes and the public to come together in a day of friendly competition, charitable efforts and a festival atmosphere as krewes gather in historic Olde Seville Square to celebrate their bling and share their Mardi Gras spirit. 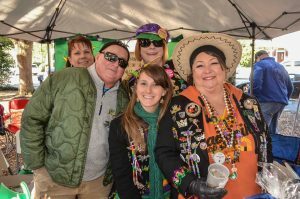 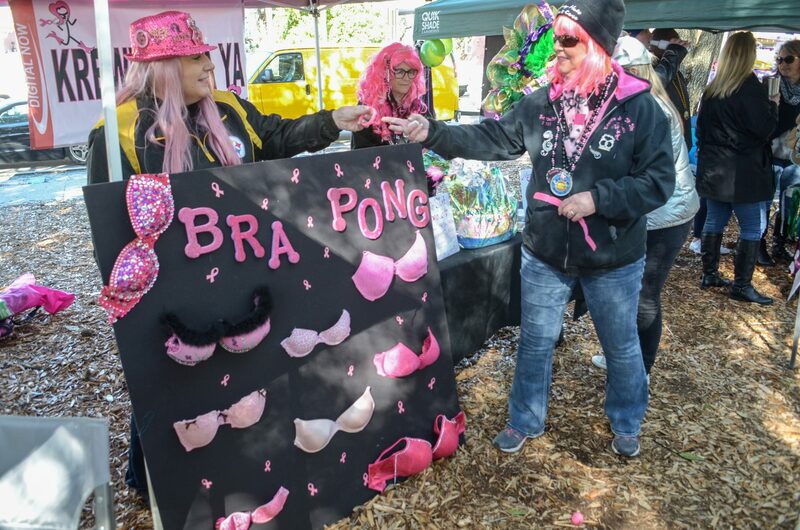 Along with the host krewe, participating krewes with tents and displays set up included Krewe de Whoux, Krewe of Daisy Dukes, Krewe of St. Patrick, Krewe of Viking Mystics, Krewe of Warriors, Krewe du Ya-Yas, Krewe of Cerveza, Krewe of Vixens, Krewe of Parrotheads, Krewe of Silver Slipper, Krewe of S.W.A.T. 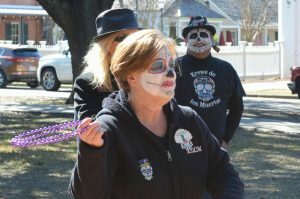 and Krewe de Los Muertos. 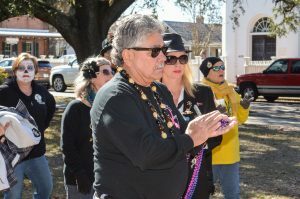 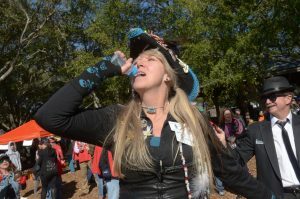 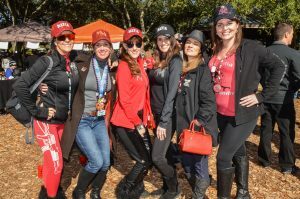 Members of several other krewes were evident in attendance, as well, including Krewe of Andres De Pez, Krewe of Lafitte and more. 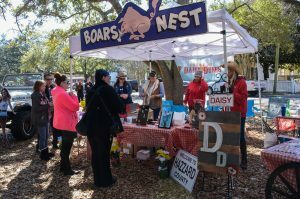 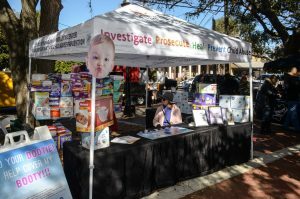 In addition to a diaper drive centerpiece for the day, most krewes supported charitable missions of their own at their booths with raffles, games, 50-50 drawings or other events. 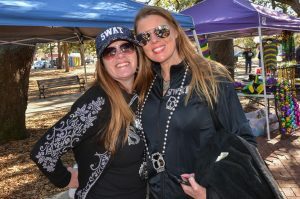 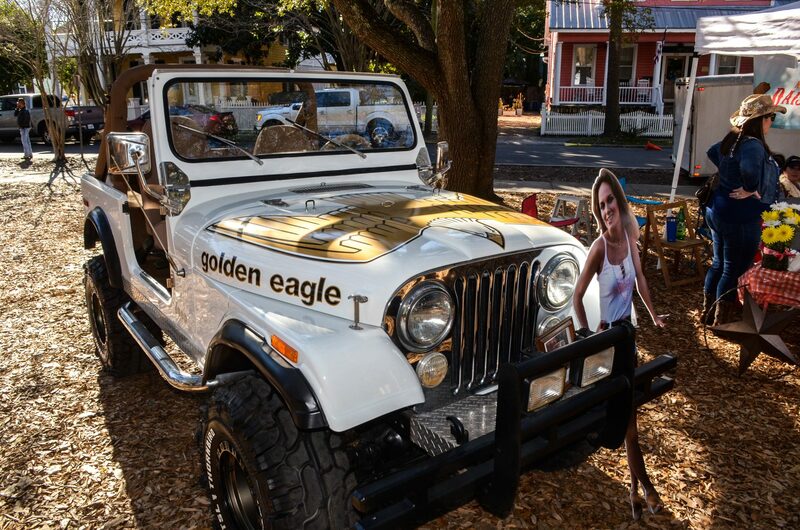 Krewe of S.W.A.T., for instance, offered mug shots and a “cuff toss,” while Krewe du Ya-Yas offered bra pong, Krewe de Whoux played a version of Plinko and Krewe of Daisy Dukes created a replica of the Boar’s Nest from “The Dukes of Hazzard,” complete with Daisy’s signature Jeep parked alongside. 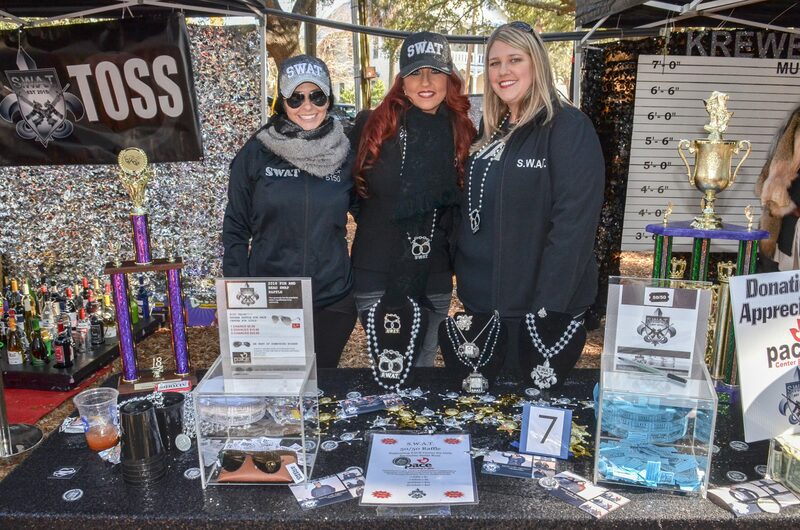 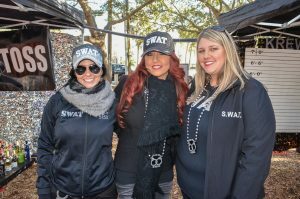 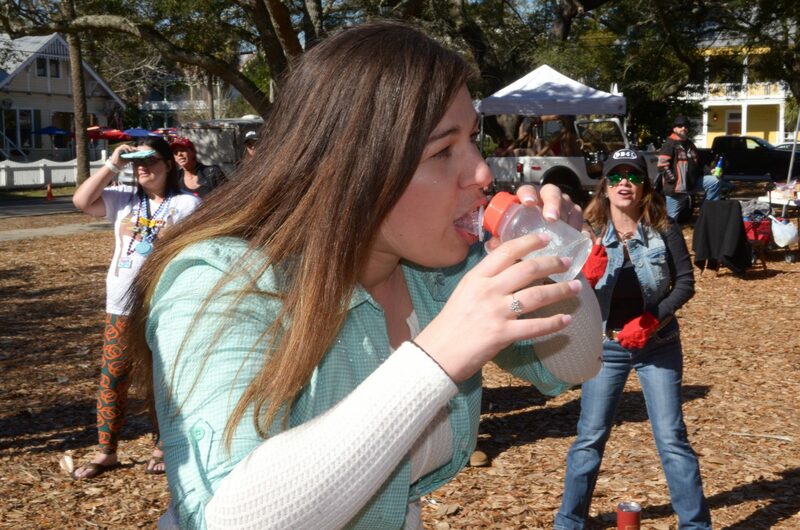 Krewe Wars featured krewes competing in baby shower-style games, with the Krewe of S.W.A.T. 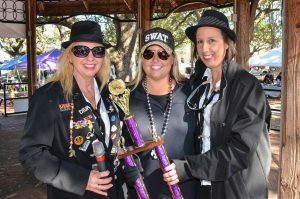 taking home top honors.